Agate, crystal and turquoise ombre earrings. 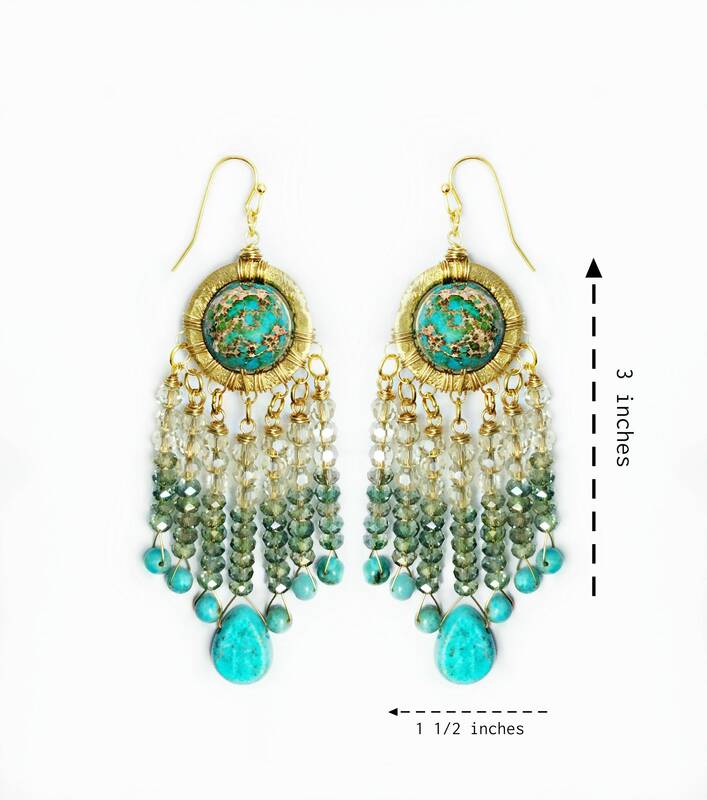 These earrings are 3 inches in length and 1 1/2 inches in width. They consist of blue green hues with a touch of light topaz. They are very unique in color and style. 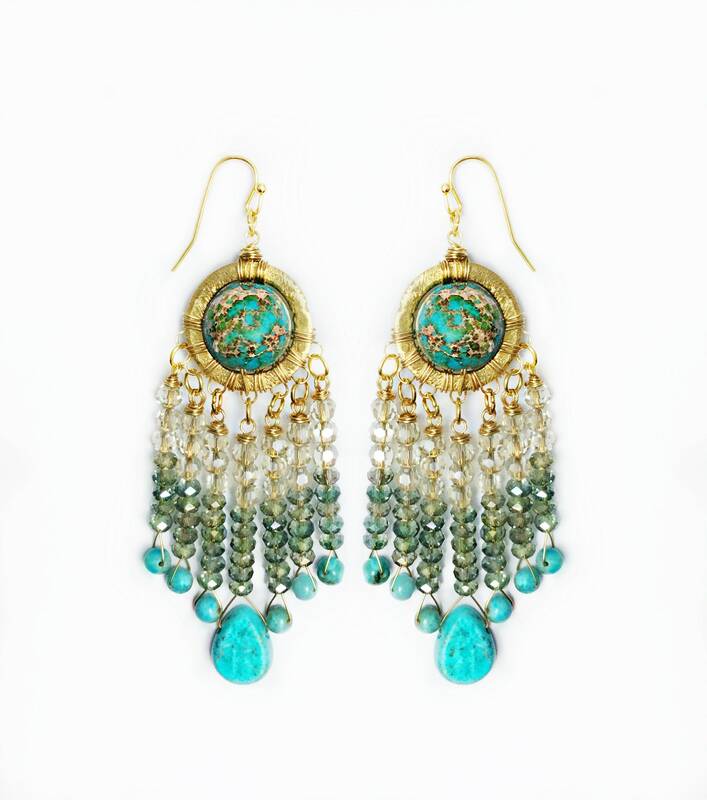 They are the perfect statement earrings that can give your attire a pop of color and a one of a kind look.